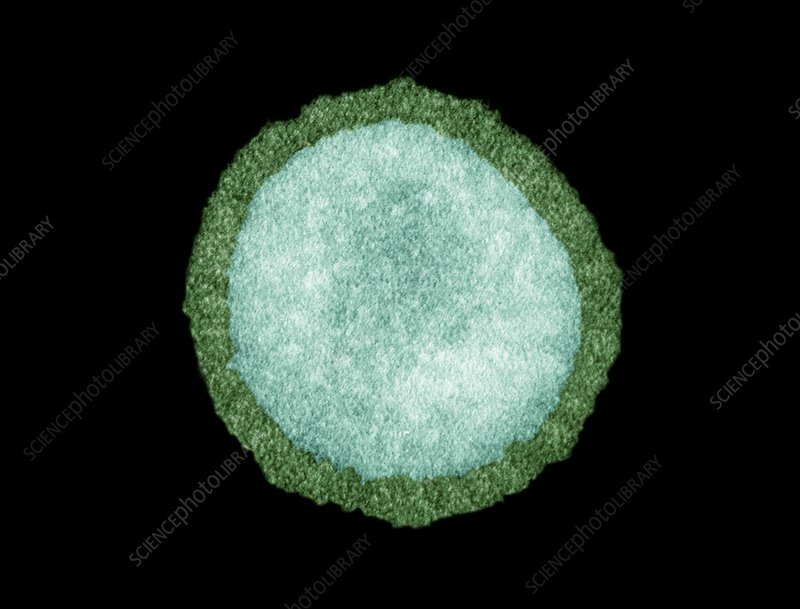 Influenza virus particle, coloured transmission electron micrograph (TEM). The virus consists of ribonucleic acid (RNA), surrounded by a nucleocapsid (light green) and a lipid envelope (dark green). In the envelope are two types of protein spike, haemagglutinin (H) and neuraminidase (N), which determine the strain of virus.